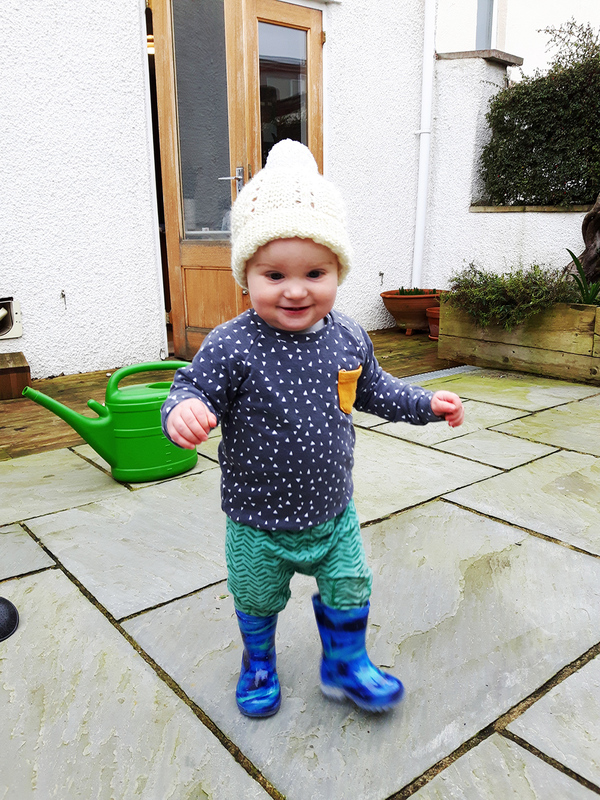 We've been working a lot with jersey (also known as knit) fabric recently, as it's such a soft, versatile fabric to make baby clothes with. 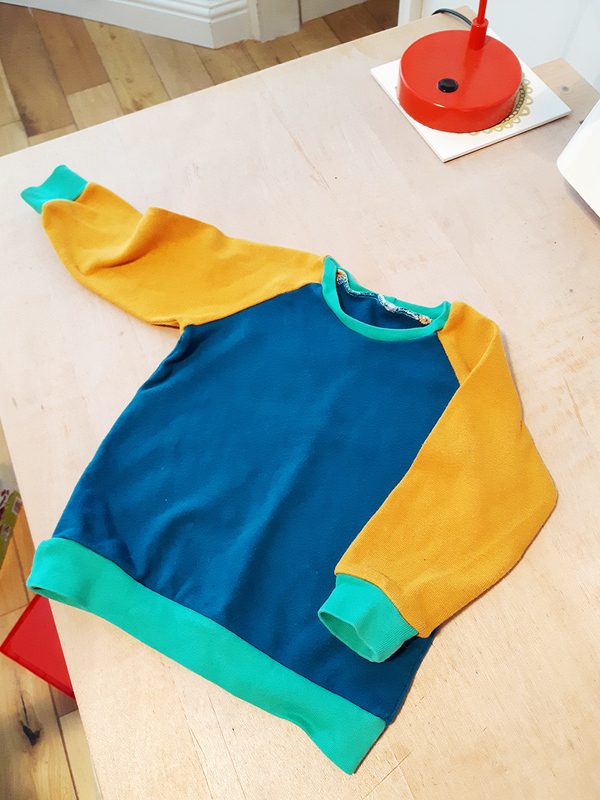 Jersey hasn't got a reputation as the easiest fabric to work with - it's stretchy and it does move around a bit when you sew it, but once you get the hang of it it can give rewarding results. 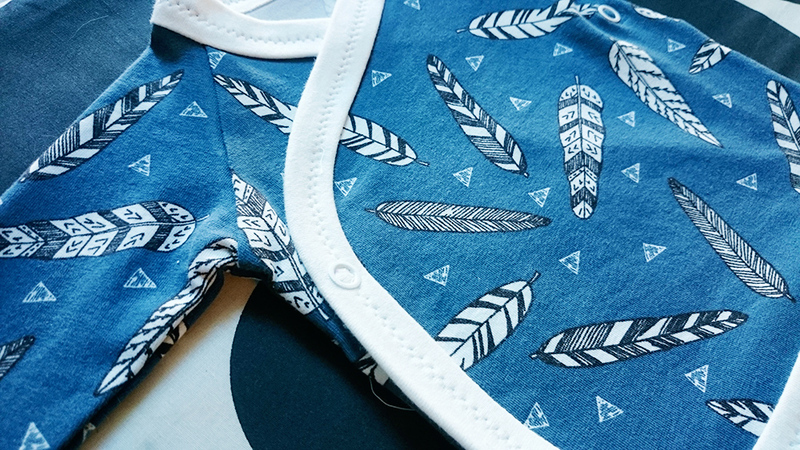 For the fabric we used an Andrea Lauren organic cotton jersey - the pattern is 'Inky feathers blue' - perfect for my friend's little boy who was born a couple of weeks ago. 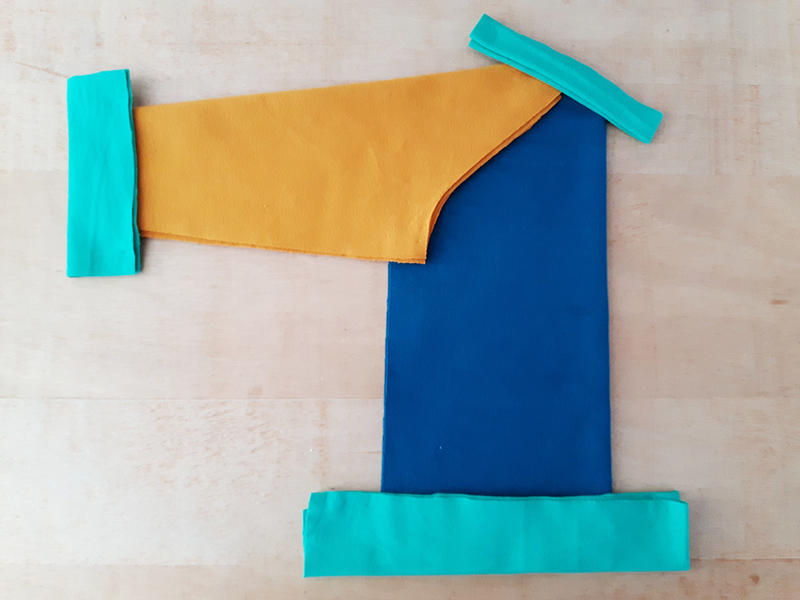 The good thing about sewing baby clothes is that the pattern pieces are small and there are not many of them! The bad thing is the pattern pieces are small...so if you go wrong it's likely to show up more! 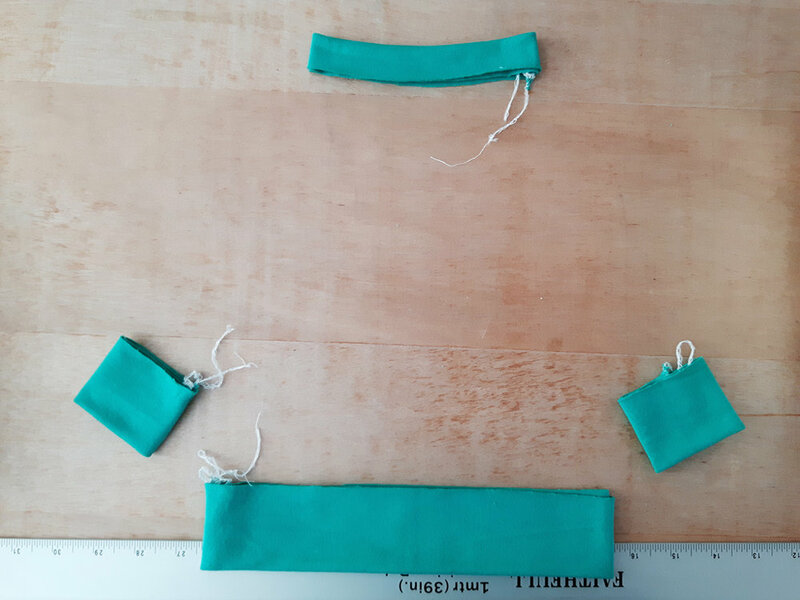 I will be the first to admit that I almost threw my overlocker out of the window in frustration...in fairness it wasn't the fabric, but probably my poor choice in overlocker (a Lidl 'special buy'). I think I broke about 5 needles...but on the plus side I am very familiar with how to thread and change a needle in my overlocker, so hey...swings and roundabouts! 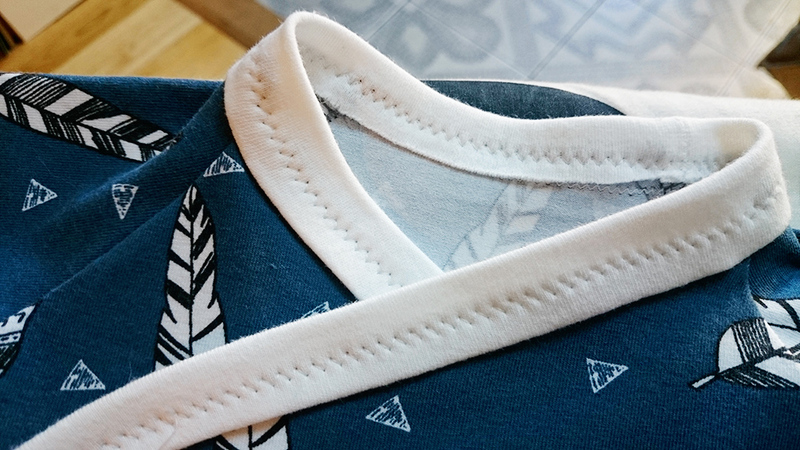 The pattern also calls for cutting out your own binding, which I did from a plain white organic cotton jersey. I actually ended up cutting it wider than the advised width as after doing a couple of tests with the binding at the advised width, I found that the snap fasteners didn't fit so well on the binding, it was too narrow. One other adjustment I made after a couple of test pieces: I didn't add binding to the cuffs. 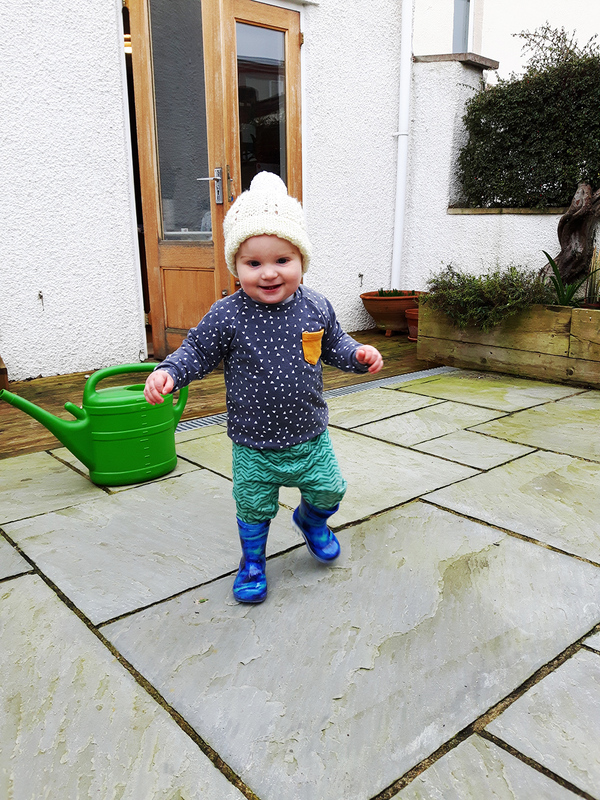 I experimented with adding binding to a babygro pattern (blog post to follow on that), but found that not only was it extremely fiddly, but that it was also probably not very comfortable for baby either. 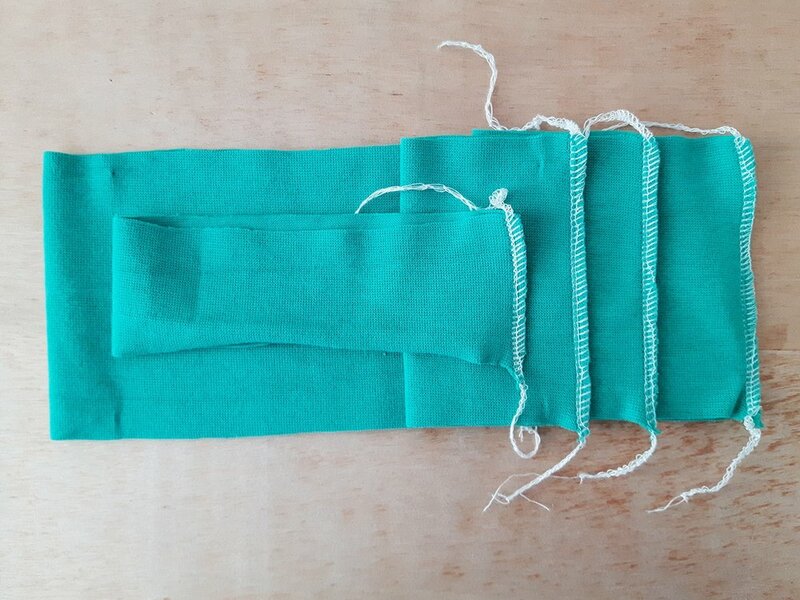 So I just folded the cuffs over and used a twin needle to hem them - I think this is a much better solution and one that baby will be better off in (sorry, Bridille & Twig!). Once the little one is old enough hopefully we'll get a photo of him sporting his new top!